Barbara W. Brown, Instructional Specialist, is a leader in supporting school turnaround initiatives. 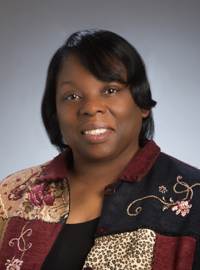 She previously served as an educational specialist for staff development in Henrico County Public Schools. Ms. Brown organized and facilitated district-wide trainings, coordinated the district’s teacher mentoring program, and designed a year two teacher mentoring program. She served as a central office team member on a school’s academic achievement team. Ms. Brown was selected to participate in a Coaching Academy for the Virginia Staff Development Council (Learning Forward). She was also selected to serve as a beginning teacher advisor in a program developed by Virginia Commonwealth University and was trained in the Santa Cruz method of teacher mentoring. Additionally, Ms. Brown served as the division coordinator for positive behavior interventions and supports. Ms. Brown taught at the elementary, middle and high school levels and was recognized as a Teacher of the Year and Phi Delta Kappa Outstanding Educator. She also served as an instructional technology resource teacher and staff development instructor and was an adjunct instructor at Virginia Commonwealth University.